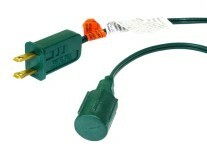 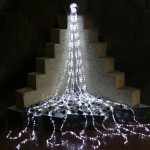 Creating your own extension cords or creating custom C7 or C9 based light stringers is a snap using these plugs. 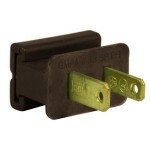 These green male plugs are an easy and quick solution to putting a polarized plug on SPT-1 zip cord. 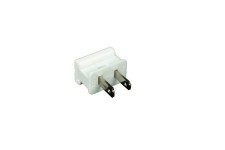 Creating your own extension cords or creating custom C7 or C9 based light stringers is a snap using these plugs. Also known in the industry as vampire plugs, these green male plugs simply slip over the end of a cut cable. 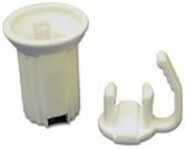 Slide on the cover, connect the plug to the wire and you are good to go. 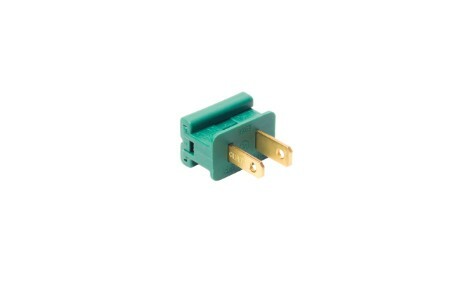 These plugs come in packs of 50.